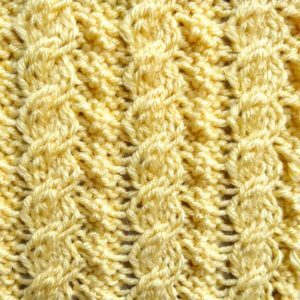 If you are looking for a cable stitch that looks elaborate but is easy to knit then the Reversible Little Ropes Stitch is perfect for you! 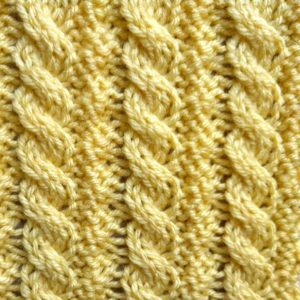 Knitted in a four-row repeat, this stitch requires only two cable techniques. And as a bonus, this stitch is completely reversible thus adding versatility to your knitwear! Row 1 (RS): *p4, slip the next 2 sts onto cable needle and hold in back, k2, then k2 from cable needle; rep from * to the end. Row 2, 4: *p4, k4; rep from * to the end. Row 3: *slip the next 2 sts onto cable needle and hold in front, p2, then p2 from cable needle, k4; rep from * to the end.